My husband and I are photographers in Durango CO. We love to photograph weddings all over the Southwestern Colorado and New Mexico area. Liz and Jimmy were the sweetest couple and you would never know by looking at them, but they are grand parents. They have 3 adult children between them (from different marriages), and the flower girl is one of their grand children. Even though Caylee, the flower girl, is related to Jimmy, Liz loves her like one of her own. They go shopping and do lots of things together. Liz, her mom, the flower girl, and her maid of honor all got their hair and makeup done at Nearly Famous Salon in Farmington NM. The ceremony and reception were held at Lakeshore Reception Center in Flora Vista NM. Liz and Jimmy met at her friend’s birthday party and they’ve actually been together for 11 years. About time they got married, right! They became engaged on Christmas Day 2017. Liz describes the proposal as Awkward – haha. Liz is an avid horse woman (hence the cake topper). She loves to go horse camping and trail riding with her friends. Jimmy loves to cruise on his Harley ultra limited bike. They both work for the oil fields in New Mexico. As you scroll through their beautiful wedding day, I hope you enjoy this couple as much as we did. Being a part of their wedding was such a special honor for us. 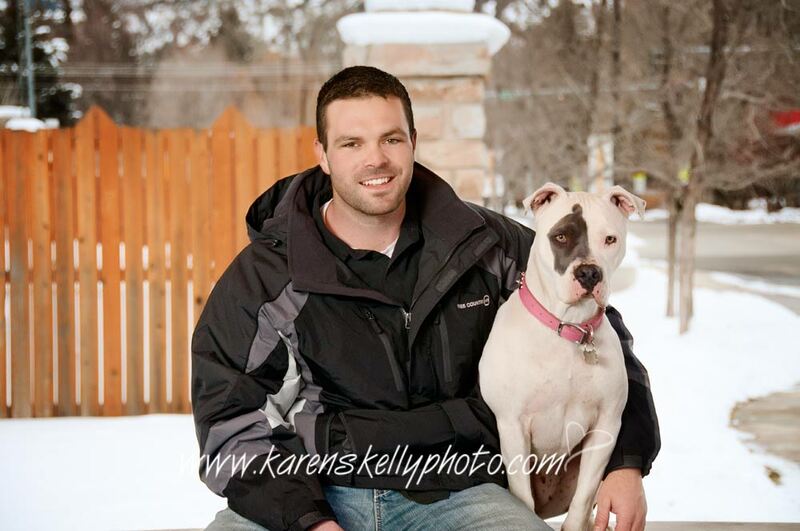 We are hoping to do some more photos of them with her horse and his sports car. My husband and I are Durango CO Photographers and we’re the best team around! Jessi and Nate were married on Lime Creek Road on a February day with snow falling on and off all day. Luckily, they love the snow and love Colorado. Jessi is an avid skier and her favorite place to ski is Purgatory Ski Resort in Durango. Lime Creek Road is the old main road that used to run from Durango to Silverton. It’s now just a dirt road that leads to some hiking trails, a few homes, and some gorgeous views. Jessi’s parents have a cabin not too far from their ceremony site and that’s where we met up with the couple and their families. It was a very small wedding with just the couple’s parents, Nate’s sister, and Jessi’s best friend who was the officiant at the ceremony. They had already planned their trip to Durango to ski and enjoy the snow and just decided on 1/12/18 to throw in an elopement. They ordered an 8×8 hard paged album and she let me know when they received it and that they both love it so much. Jessi and Nate have been together for 8 yrs and live with their 7 animals in Texas. Jessi’s best friend (Alma) was the person who introduced them, so it’s the best thing ever that she was the one who married them. Nate is a chef, so I foresee Jessi having some great meals. She also likes to cook, so they’ll probably spend some great quality time in the kitchen. As you scroll through the images (I know I put a lot of them in here), I hope you feel their love as much as we did. We got along so well with everyone that we started to feel like part of the family, which is the biggest compliment clients can give to us. Ken, my husband, and I are wedding photographers in Durango CO. Chavis and Regan live in Oregon, but love Colorado for it’s beauty, mountains, streams, and hiking trails. 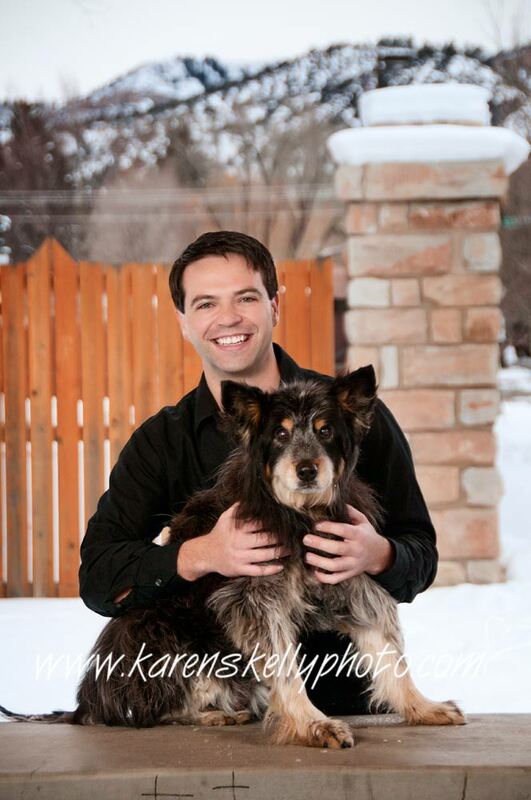 Regan used to live in Durango and worked at the Animas Museum and Steamworks Brewing Company. Then she moved to Oregon to attend the University of Oregon. She also went to Viña del Mar University to study Spanish. She studied history at the University of Oregon and a university in Oklahoma. She will be a teacher soon. I’m friends with Regan on facebook so I know what she’s been up to, but Chavis isn’t on facebook so I can’t tell you much about him, except that he’s very much in love with Regan. That’s why they chose to get married on the Colorado Trail, which runs from Durango to Golden CO for a total of around 500 miles. Yes, they hiked the entire length of the trail FOR THEIR HONEYMOON! If you missed the first post from this wedding on the Colorado Trail, here’s the link https://karenskellyphoto.com/blog/durango-co-wedding-photographers-do-a-fun-trail-wedding/. After the ceremony, they had to change their clothes, and yes there were other people on the trail hiking, biking, and running who were not part of the wedding. Regan’s mom brought a sheet which they tied between two trees so they could get out of their wedding clothes and into their hiking duds. They brought champagne in a picnic basket and everyone had a great time toasting the couple after the ceremony. I asked if they would like to have some photos in the water and they were more than happy to jump into the creek for a couple of photographs. I love that their fur baby was the ring bearer during the ceremony, and even had his own pack for the hike. My husband, Ken, and I are Durango CO Wedding Photographers and were hired by Regan’s mom to photograph her daughter’s wedding. Chavis and Regan live in Oregon, but they are big time hikers, so their idea of fun was to hike the Colorado Trail, which starts in Durango CO and runs 500 miles ending in Golden CO. So they decided to have their wedding right on the trail with a few family and friends in attendance, and their fur baby. The ceremony took place about one half mile up the trail on a large rock right along Junction Creek. Regan wore a beautiful wedding gown, perfect for a trail wedding. The gown belonged to her mother-in-law when she was married and it was in perfect condition. Chavis was in a casual outfit, also perfect for a trail wedding. They both wore sandals to hike up the mountain, but then kicked off their shoes for a barefoot ceremony. It was a laid back, casual wedding, which I love to photograph. I made a chalk board sign for their special day and it’s always a surprise to the couple. Having it in their photographs reminds them of how fabulous their wedding day was and how much fun they were having. After the ceremony, they changed into hiking clothes and started their trek all the way to the Denver area. I’ll be posting more photos in the next blog, so stay tuned. Regan’s bouquet was from Blossom Flower Shop, and Lemonhead Hair Salon did a beautiful job on her hair style. My husband and I are photographers in Durango CO and we specialize in weddings, family portraits, high school seniors, and boudoir. These makeup tips are geared towards couples getting married, but they’re also applicable to all other types of sessions. 1. Don’t use foundation or moisturizer that has zinc as the spf. When your photograph is taken, especially with a flash, this can make your skin look very pale/white. I haven’t tried it myself, but I’ve read that Revlon Color Stay foundation works really well. Maybelline also makes a ‘photo ready’ foundation that you could try. Put some of your foundation on and have someone take a picture of you using an off-camera flash, which is what your photographer should be using. 2. Use a concealer for any areas you want to cover up, such as green to cover red spots. Also use a primer for both your foundation and your eye shadow. It will help your makeup last all day. If you have oily or shiny skin, make sure to keep powder with you to touch up your face. Hot spots from shine are not an easy fix in photoshop. You could also have some blotting paper for shiny spots. 3. You can use waterproof mascara which will help a lot when you shed a tear or two, or a bunch. Another option is to use false eye lashes which should last all day without black running down your face (which isn’t a good look). 4. For lips I would suggest a lip liner and/or a lip stain. The liner will help keep the lipstick from bleeding. You definitely want to have some color on your lips or they will appear very washed out in your photographs, especially any black and white prints. I hope this helps you with your wedding day makeup. If you’re getting married, would like a family portrait session, have a high school senior, or would like a beautiful boudoir session, get in touch with us. Posted March 7, 2018 to Boudoir Photography , Boudoir photos , Boudoir Sessions , Durango CO Photographers , Durango CO Photography , Durango Photographers , Photographers in Durango CO , Photography , Portraits by: Karen Skelly. My husband and I usually work together when photographing weddings and portraits. However, this Durango CO Boudoir Photographer sends hubby away when I’m photographing beautiful women during a boudoir session. I know I wouldn’t be particularly comfortable with a man hanging around while I’m in lingerie or half naked (or fully naked for those brave ladies). Ms. J did her boudoir session as a gift for her hubby-to-be. He’ll be receiving a gorgeous hard paged album on their wedding eve. She was amazing to work with and was ready to do anything. She brought her mother along, which was so much fun. I’ve never had any ladies bring along their mother and I managed to embarrass her a couple of times, but we were drinking wine, so she was having a great time and laughed a lot. When we do a boudoir session, you need to plan for about 2-2.5 hrs of time. We do the session and then go through all of the images so you can choose which ones you would like in your album. Then, when I’ve beautified all the images and put the album together, I send you a link on my website so you can view them and make any changes to the album that you would like. I need around 5 weeks to complete the album and get it delivered, so if you’re interested in doing a boudoir session and you have a celebration in mind, make sure to get in touch a couple of months before the big event. A boudoir album is a great gift to give your significant other for a wedding, anniversary, Valentine’s Day, Christmas, birthday, or just because. Posted March 7, 2018	to Boudoir Photography , Boudoir photos , Boudoir Sessions , Durango CO Photographers , Durango CO Photography , Durango Photographers , Photographers in Durango CO , Photography , Portraits	by: Karen Skelly. I’ve spoken to lots and lots of ladies who had a friend or family member photograph their wedding and they totally regret that decision. Their images were too dark, blown out, blurry, people’s body parts cut off – you get the picture (yes, I threw in an unintended pun). I bet you know someone who has said the same thing. Here are some reasons to actually hire a professional photographer in Durango CO to photograph your wedding – one of the most important days of your life. Your friend or family member should be enjoying the wedding, not running around trying to capture everything going on. He or she probably doesn’t have a second shooter to help capture moments that you and the main photographer might have missed. He or she probably doesn’t have back up equipment in case something fails. I’ve only had this happen one time, but I had back up, so all was well. Most weddings we photograph do not have a wedding planner available to set the timeline and make sure everything is running smoothly. In these cases, we step in to keep everything going as it should. We want to make sure we have enough time to capture all of the beautiful photographs you want for your family heirlooms. Your friend probably doesn’t have the experience to even know how stressful weddings can be. Professionals have lots of experience, education, and gear to make sure your day is perfect (well, as perfect as possible). Many of us charge about as much as you are paying for your flowers, yet we are with you all day, and spend weeks beautifying your images. It’s a value that can’t be stated enough. You’ll be moved to tears of joy with your wedding images, instead of tears of despair over the friend’s photos that didn’t turn out very well. We get super excited when we’re chosen to photograph a couple’s wedding. We’re fully invested and want to make you so happy with your choice. We even offer a 100% money back guarantee that you will love your images, or we’ll return your full investment. We are offering a Free Engagement Session for the first 3 couples who book their wedding with us. 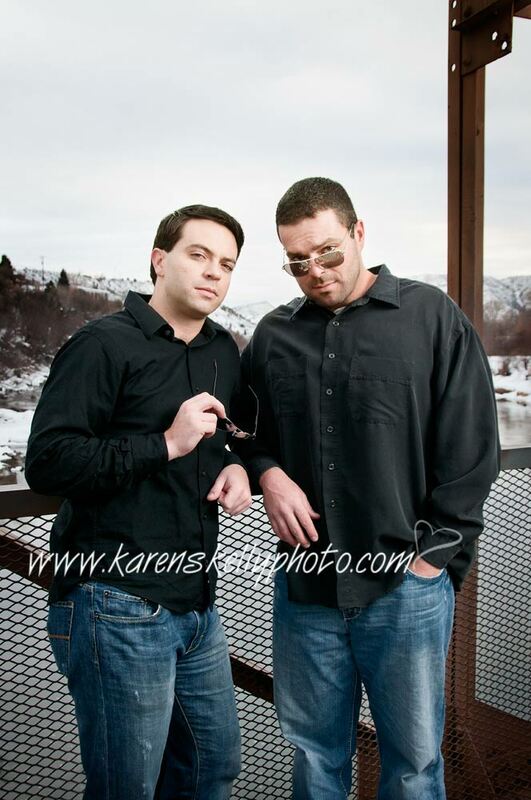 If you don’t like your engagement photos, we will refund your wedding retainer fee. So get in touch with us as soon as possible. Posted February 6, 2018 to Durango CO Photographers , Durango CO Photography , Durango Photographers , Family Portraits , Photography , Portraits by: Karen Skelly. My husband and I are family portrait photographers in Durango CO. We are also wedding photographers, boudoir photographers, and senior high school photographers near Durango CO. We serve the entire southwestern area of Colorado and Farmington NM. VeAnn and Waylon (the older boy) live in Durango, but Colby came from Denver to spend the holidays here, so we did some family portraits of them together since they don’t see each other often enough. We did some fun images with their sun glasses, and then each boy had a dog so we did a portrait with their pet. I took separate images of each of them and made a tryptich, (the photo with the 3 separate portraits of each one, which makes for a great wall hanging. VeAnn is getting an image box with 7 of their portraits that are mounted on styrene and sprayed for protection. It’s a beautiful way to display images. VeAnn purchased a Gift Certificate that I donated to the fundraiser for the LaPlata County Humane Society. 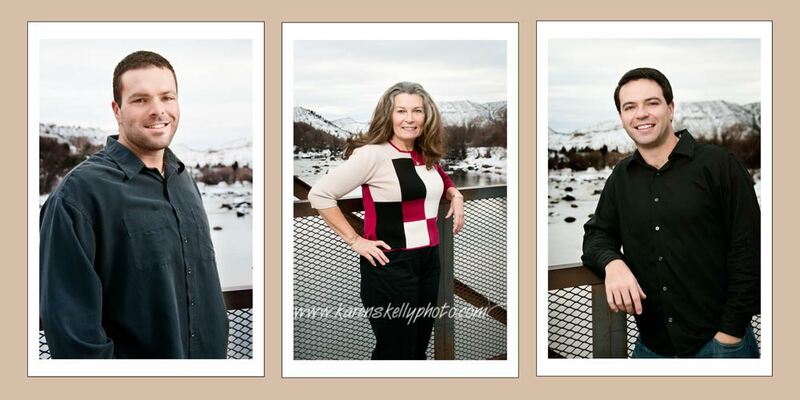 They love the snow and the Animas River in Durango so we did many of their portraits down by the water. 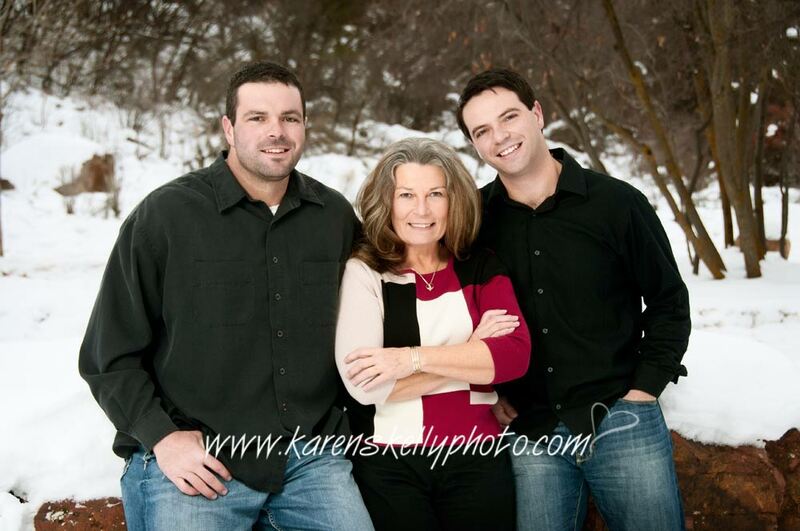 Even though these two boys are grown men, you can tell they love their mom and they made her really happy by doing this portrait session so she could have photographs of them in her home. If you would like to have a family portrait session, get in touch with me and also view this on my website that helps you prepare: www.karenskellyphoto.com/portrait-session-prep. Hope you enjoyed viewing their portraits. Posted February 6, 2018	to Durango CO Photographers , Durango CO Photography , Durango Photographers , Family Portraits , Photography , Portraits	by: Karen Skelly. My husband and I are Photographers in Durango CO and we photograph weddings all over the 4 corners area. If you’re engaged to be married, Congratulations! Something you may think is not important is an Engagement Session with your photographer. Here are 3 reasons you should book a session as soon as possible: Make sure to read all the way to the bottom for my FREE offer. 1. You and your photographer get to know each other; each others’ personalities, how to act and pose in front of a camera, the photographer gets to know your hobbies and what you like to do. Including your hobbies and/or job into your engagement and wedding images is one of the things that will make your images and album unique to you. It’s also lots of fun. 2. You get a relaxed portrait session with your fiance that isn’t as stress filled as the wedding day. You can get romantic and have fun without a lot of other people around. It’ll make you and your photographer much more comfortable on the big day. 3. You’ll have a variety of different photographs to choose from that are in your street clothes. You can use these images in an album that is also used as a guest signing book at the wedding. How unique is that? If you don’t want to do an engagement session, or don’t have time, another idea is to have a photo session on your bridal practice day. You get your makeup and hair done, put on your wedding dress and have the bridesmaids all dressed up also, and have a photo session. Or you can do just a bridal portrait session. 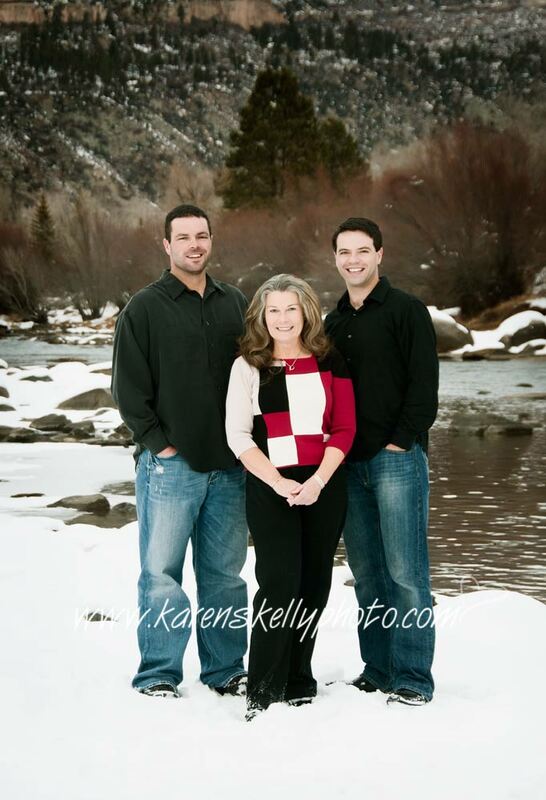 For the first 5 couples who call me at 970.884.5292 or email me at karen@karenskellyphoto.com, I will do an engagement session or bridal practice day session FREE. There is no obligation and I 100% Guarantee that you will LOVE your images. If you don’t love them, I will refund your wedding fees (if you also book us for your wedding photography). This is what the Engagement Album looks like – although I think these photographs don’t really do it justice. 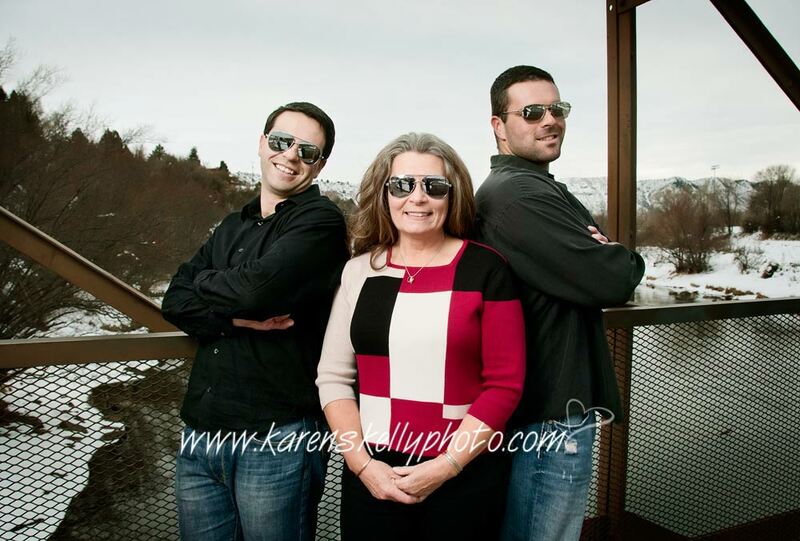 You can go to www.karenskellyphoto.com and take a look at my website. Posted January 11, 2018 to Durango CO Photographers , Durango CO Photography , Durango Photographers , Families , Family Portraits , Photographers Durango CO , Photographers in Durango CO , Photography , Portraits by: Karen Skelly. This lovely family came from different parts of Texas to enjoy Christmas in the snow. It was a marvelous family reunion and, like most families who live apart, they don’t get to see each other often enough. They wanted Durango Photographers to capture some Christmas images while they were here. They also did some skiing and snowboarding while they were here. They were staying at Durango Mountain Resort, also known as Purgatory Resort and Ski Area. We did some of their portraits in their suite, and then went outside. There were 3 families with 6 adults and 3 children. They were all dressed in pretty holiday colors. The little 2 yr old boy had been sick and wasn’t feeling all that great, but he cooperated (sometimes). The whole family was so sweet because they were freezing and I continued to torture them so they would have some beautiful images to remember their time here in Durango. After the portraits were done, the kids went out again and we got some cute shots of them playing around. Unfortunately, the snow was too dry to do much with snowballs or building a snowman, but fun anyway. They were very happy with their portraits and will have them as great memories to pass down to their kids. Heirloom portraits are a wonderful thing for people to enjoy for their entire lives and for generations. Posted January 11, 2018	to Durango CO Photographers , Durango CO Photography , Durango Photographers , Families , Family Portraits , Photographers Durango CO , Photographers in Durango CO , Photography , Portraits	by: Karen Skelly. I am trying to move posts from my old blog to this new blog. Is that what you mean by duplicate content?